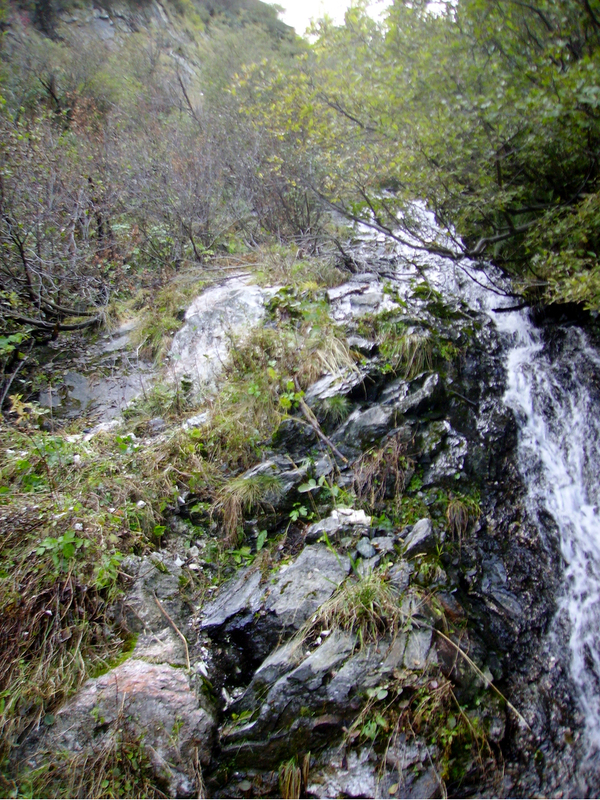 Albitised pegmatite dyke outcropping along the bed of a streamlet, flowing in a gully located on the south-east slope of Pizzo Marcio in Antoliva Valley, just above the path connecting Alpe Miucca to Passo Biordo. The dyke, which outcrops for about 30 metres at an elevation of ca. 1650 m a.s.l., is not always easy to work because of the flowing water. One of the most typical minerals from this occurrence is roggianite, which forms tufts of fine acicular crystals, silky white with a slightly rose tinge, sometimes in association with microcline, clinozoisite, and granular quartz. - bavenite can be found, completely dissociated from beryl, in a rodingite at the contact with the albitised pegmatite. Here, it appears as millimetre-sized felted aggregates embedded in prehnite or as fan-like aggregates of slender lamellar crystals in association with clinozoisite, diopside (crystals up to 15 mm long), prehnite, titanite, etc. - a quartz lens, situated three metres from the albitised pegmatite dyke, is cut by a 10-15 cm thick vein of black schorl, in which idiomorphic crystals of the same mineral, attaining several centimetres in length, sometimes occur (Mattioli et al., 1995). Appiani, R., Cini, V., Gentile, P., Mattioli, V., Preite, D., Vignola, P. (1995): Val Vigezzo - I minerali delle albititi. Ed. Linea Due S.r.l., Marnate (Varese), 90 pp. Guastoni, A. 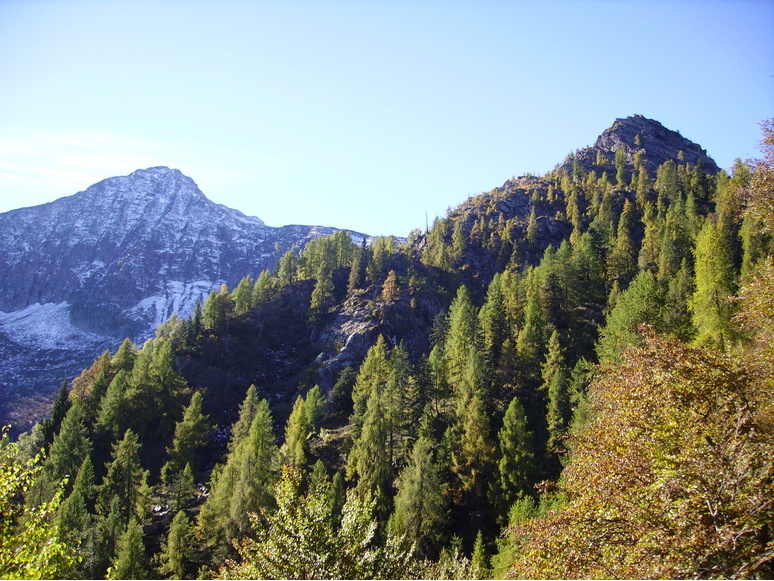 (2011): Pizzo Marcio e Alpe Rosso. Genesi delle pegmatiti albitizzate e dei minerali di niobio e tantalio. Riv. Miner. Ital., 35, 4 (4-2011), 246-253. Guastoni, A. 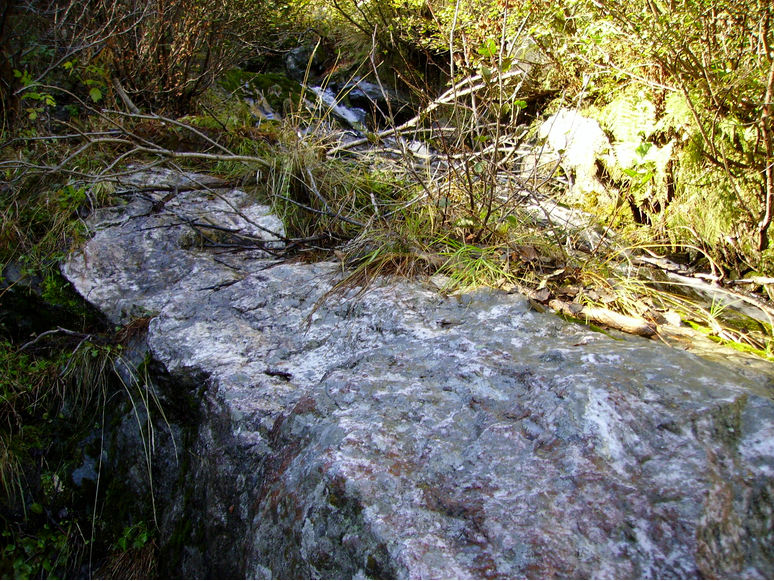 (2012): LCT (lithium, cesium, tantalum) and NYF (niobium, yttrium, fluorine) pegmatites in the Central Alps. Proxies of exhumation history of the Alpine nappe stack in the Lepontine Dome. Ph.D. Thesis. University of Padova, Dept. of Geosciences, 159 pp. Boscardin, M., Mattioli, V., Rocchetti, I. (2013): Minerali della Valle Vigezzo. Litotipografia Alcione, Lavis (Trento), 229 pp.